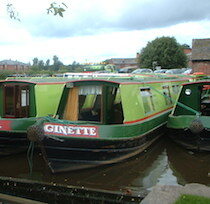 The Ginger3a class canal boats. 1 bathroom with shower, toilet, hand wash basin. Electric Razor point.